6400 Crescent Park East – 2 Bed 2 Bath – 1,210 sq.ft. Bright and Sunny corner condo oversized patio and a great floor plan. This 2 bedroom 2 bathroom condo flows into a great room living area leading out to your huge deck perfect for entertaining. The master bedroom has an en-suite bathroom with dual sinks and large walk in closet. The second bedroom has a generously sized closet and both bedrooms are separated by hallway for privacy. The kitchen has an eat at bar and is open to the living areas. 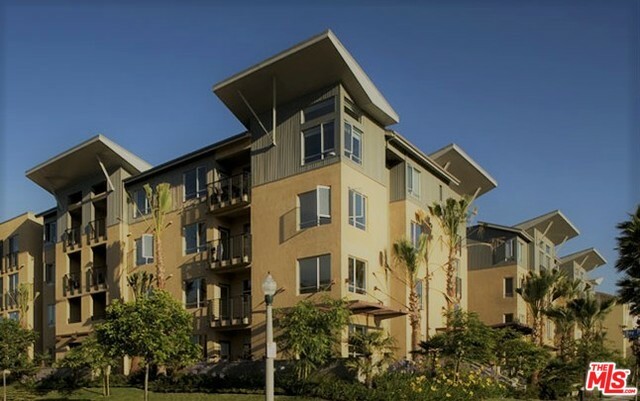 Building amenities: two car parking, storage closet, cable tv, high-speed internet, meeting/rec room in building plus all the Playa Vista amenities: Pools, tennis, basketball, 3 par golf, parks, dog parks, Concerts in the parks, restaurants, movie theater and much more! NEW PICTURES COMING SOON!!! We're sorry, but we couldn't find MLS # 17-198500 in our database. This property may be a new listing or possibly taken off the market. Please check back again.